Radish's Mum, who said... OOOOhhh me me me pretty please :-) Am already getting my Christmas projects underway. and Fay aka Beautifullily, who said... That looks like a gorgeous magazine, would love to win a copy. Thanks again to the folks at Stitch Craft Create for the giveaway copies! 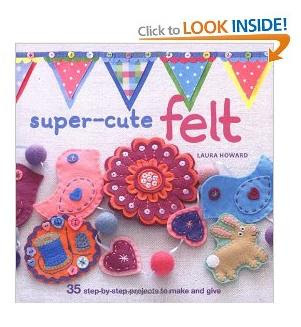 In other news... you can now "look inside" my book, Super-Cute Felt, over on Amazon UK. I love using this feature when buying craft books online as it enables you to get a much better idea of the mix of projects in a book before you buy it. You can check out the first and last few pages of my book and if you've got an account with the site you can sign in and click "surprise me" to view more randomly selected pages and get a more detailed look at some of the projects. Hurrah! Congratulations to the winners! I'm off for a look inside your book! 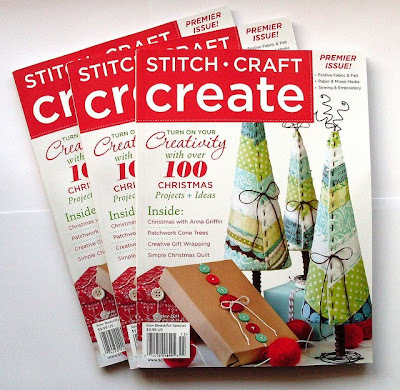 Radish's mum here - Have sent you an email but just wanted to repeat Yay Thank you :-) Looking forward to receiving the magazine and getting some new inspiration.